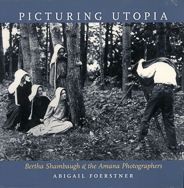 More than one hundred years ago, Bertha Shambaugh set out to photograph the Amana Colonies, the utopian religious community twenty miles northwest of Iowa City. Soon after, several Amana members ignored their community's prohibition on photography and took up cameras to record the people and events around them. Abigail Foerstner brings together this stunning collection of photographs along with the stories of the photographers who took them. The photographs provide an unbroken photographic record beginning with Shambaugh's work in the 1890s and continuing through the Colonies' transition to mainstream American life with the Great Change in 1932. 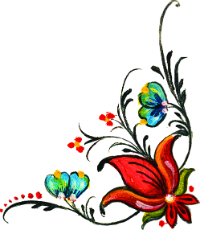 Foerstner, of Wilmette, Illinois, has written hundreds of articles on art and photography. In researching this book, she helped recover more than a thousand glass photography plates and other negatives now preserved at the Museum of Amana History. 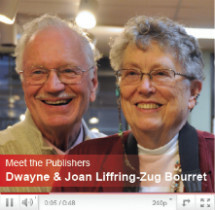 Her great-uncle, William Foerstner, is one of the photographers in the book.